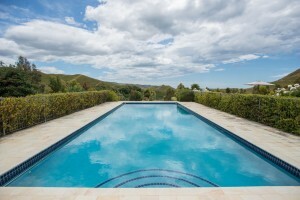 Cape South is just a 20 minute drive from Havelock North. Hidden in the hills with stunning coastal views, it is a peaceful and secluded venue. Conferences at Cape South provides numerous options for small conferences and meetings. The facilities can be booked for a half or whole day – or you can book the homestead for a minimum of 2 nights and relax in the evenings. A full catering service can be arranged – from coffee and biscuits, platter and finger food to full scale dining. Accommodation for up to 15 guests is available for those who would like to stay and unwind after the business of the day has ended. 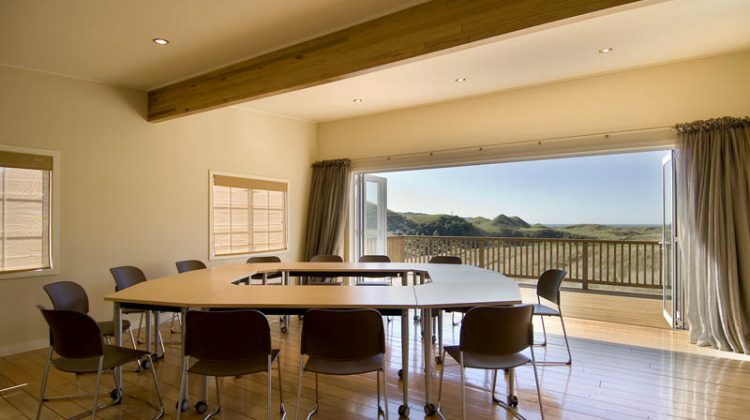 The meeting spaces are available for a single daytime meeting or can combine with the Cape South accommodation. The combined capacity of the three onsite properties caters for up to 15 guests on a twin share basis (or 8 singles), so it is the perfect venue for a fully residential corporate retreat. There is a selection of meeting spaces, plus plenty of activity and leisure options to break up the business or for non-participating partners. 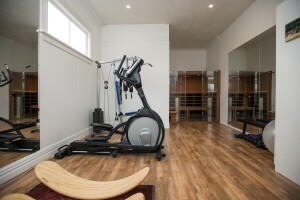 The Studio is stylish and versatile – a truly adaptable space. It works well for a small conference, board meeting or corporate retreat, with flexible conference furniture. The spacious deck looks out to stunning coastal views and is a great spot for a coffee or lunch break. 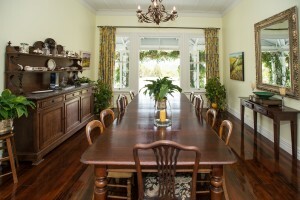 The Homestead dining room makes an elegant and peaceful venue for a board or business meetings. There are many additional spaces for relaxing or gathering, such as the casual kitchen/family area and gracious living room, not to mention the shady verandah, sweeping gardens and pool courtyard. The spacious Homestead lawn also offers the option of a large marquee for bigger conferences, functions or events. We have relationships with a whole range of local suppliers who can provide catering, technical and all other equipment and services. We are happy to tailor customised packages to meet your individual or group needs. Please email info@capesouth.co.nz or call 027 552 2487 for more information and booking requests.